11 in a row for Chad Agee! On 10/23/08, Chad Agee had the first 11 strikes and finished with a great 297 game! Chad rolled his honor score with the Storm Spit Fire he got from us at Airport Lanes Pro Shop! Alex Green does it again! 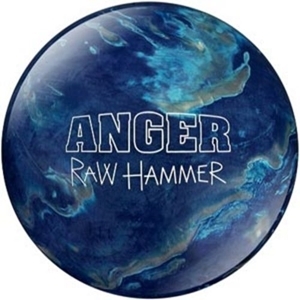 On Thursday, October 16th in the Thursday Night Mixed League at Airport Lanes, Alex Green shot his 2nd 300 with the Hammer Raw Hammer Anger he got from Airport Lanes Pro Shop! Having a ball that fits YOUR hand! There are several types of grips, but if you’re wanting to hook the ball the only one you want to go with is a fingertip grip. This is where your middle and ring fingers are inserted up to the crease at the first joint. Hence the term, fingertip. The reason this is the best grip is because by just having the tips of your fingers in the ball, it is easier to create lift, which is the way rotations and hook is created (We’ll talk more about that in Part Three 🙂 ). Most people trying out a fingertip grip for the first time will use finger inserts such as Turbo 2-N-1 Grips Quad Finger Inserts. Inserts are a lot softer than the ball which makes it easier on your fingers. Also, if you use the power lift side of the grips, they can also help you get a little more lift on the ball (which is always great for a new bowler). The 2nd part of a fingertip grip (and any good fit for that matter) is having your thumb ALL THE WAY IN THE BALL. Let me repeat, ALL THE WAY IN THE BALL! I can’t stress how important this is to having the right fit. Bowling is a sport that is built on consistency. You want a consistent approach, backswing, followthrough and balance – among other things. But the most important is having a consistent release, I mean the only way to knock the pins down is by throwing the ball, right? 🙂 Well having your thumb ALL the way in the ball is the only way to have consistency with your thumb. If you only put part of your thumb in the ball, what’s to say you won’t put it in more or less the next shot? Inserting your thumb more or less from one shot to the next will make you throw the ball differently each time. And inconsistency is a very BAD thing. We need to focus on the inconsistencies of the lane conditions, not our grip! 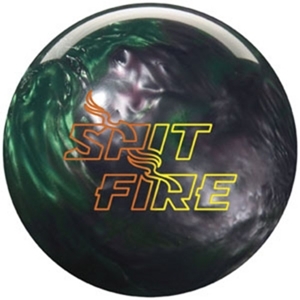 If this is your first bowling ball fit well for YOUR hand, it WILL feel weird at first! If it doesn’t, then it probably doesn’t fit right. You’re probably used to using a house ball, or your grandpa’s AMFlite and think that’s how a ball is supposed to feel. But if you think about it, your grandpa is 7 inches taller and 117 pounds heavier than you. How could you both have the same exact hand? You don’t. Your buddy Cletus’ Hammer Black Widow does NOT fit your hand, bro (Or sis, we are very equal opportunity here at Bellair Lanes Pro Shop :)). So if you haven’t yet, come see me and we’ll get you throwing a HOOK in no time! This review is on the newest addition to Vibe line, the Hammer Vibe Emerald! In my opinion, the Vibe line is the best that Hammer offers. This isn’t meant to take away from the Widow Series or Raw Hammers, but the Vibes are unbelievably versatile. 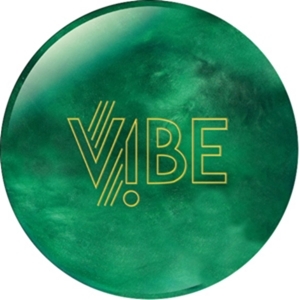 For the price and proven performance of the Vibe Series, you can’t go wrong with the Hammer Vibe Emerald! This review is on a great new ball, the Brunswick Avalanche Solid! 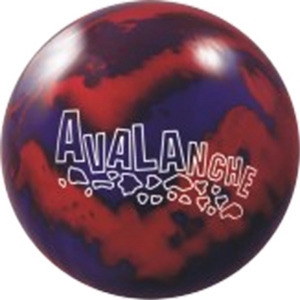 If you’re looking for a ball for light/medium lane conditions, there’s no better option than the Avalanche Solid. This ball uses some of the greatest technology of all timeat an amazing price! The Brunswick Avalanche Solid has the PowerKoil 18 solid coverstock that has been used on more balls than any other coverstock in history. The Danger Zone, Monster Bruiser, Zone Red Alert and many others used the PowerKoil 18. The core in the Brunswick Avalanche Solid is from another one of the greatest balls ever, the Teal Rhino Pro. With this combination there’s no doubt that you’ll be buying a winner! The Brunswick Avalanche Solid brings to mind one word: SMOOTH! This ball will give you an even, archy reaction throughout the whole lane. This is the perfect type of reaction for drier lanes, or when the condition is tough. You want to know exactly what the ball is going to do when you throw it, and the Brunswick Avalanche Solid is as predictable as they come! Order yourself a Brunswick Avalanche Solid, you won’t regret it! Thanks again Brunswick for another great release!